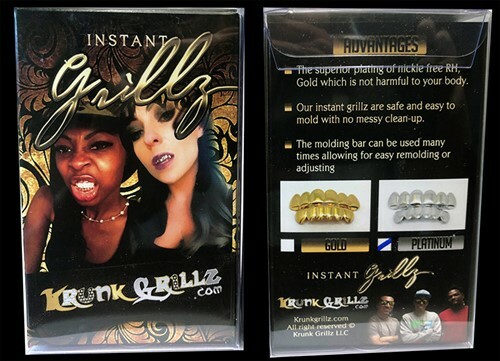 Costume jewelry faux platinum plated instant grillz. Comes with 6 teeth top and 6 teeth bottom and instructions. No mold kit necessary.